Every now and then we have someone ask for a cutout of something other than a person. We’ve done cartoon characters, huge insects, a horse, and even a forklift at full size. Here, we did a car and it was a lot of fun! When you get to something this size, they are printed in sections. This one was three pieces 36″ wide and 48″ tall. We always need to be careful that the box is small enough that Fedex will take it, otherwise it will need to be shipped by truck and that can be pretty expensive. 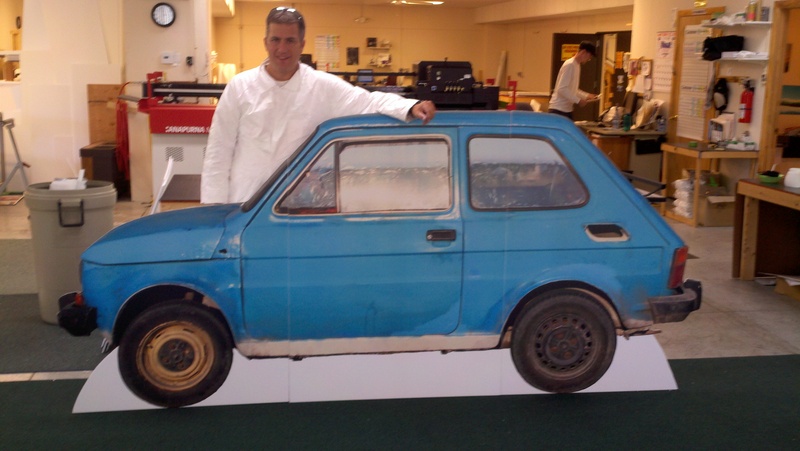 This entry was posted in large format printing and tagged car cutouts, cardboard cutouts, people cutouts. Bookmark the permalink.